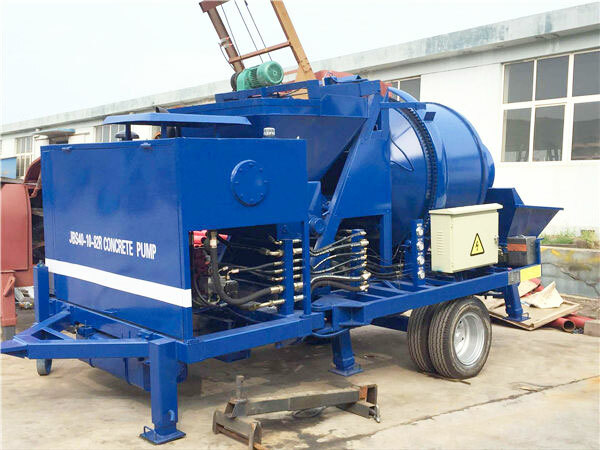 Concrete mixer with pump for sale achieves the function of mixing concrete and pumping concrete in one machine. 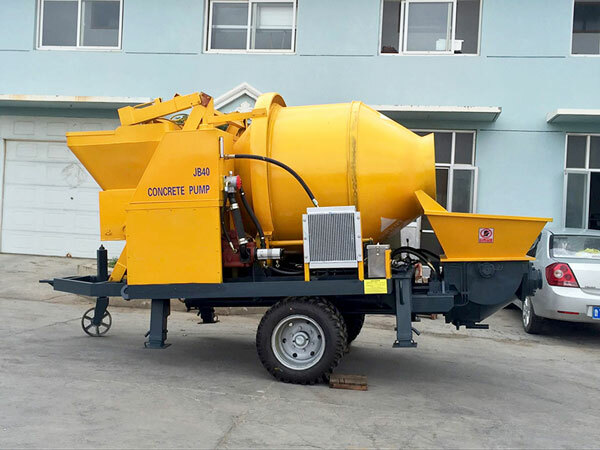 Concrete mixer with pump for sale has many different types that you can select. According to its driven power, it can be divided into diesel engine concrete mixer with pump and electric powered concrete mixer pump. 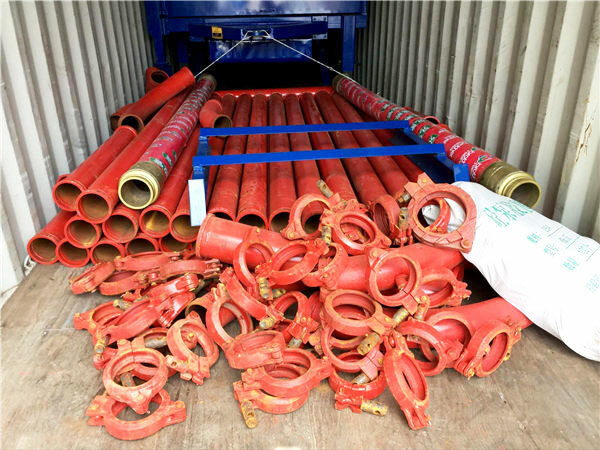 According to its mixing way, there are two types of concrete mixer and pump, drum mix concrete pump and compulsory mix concrete pump. 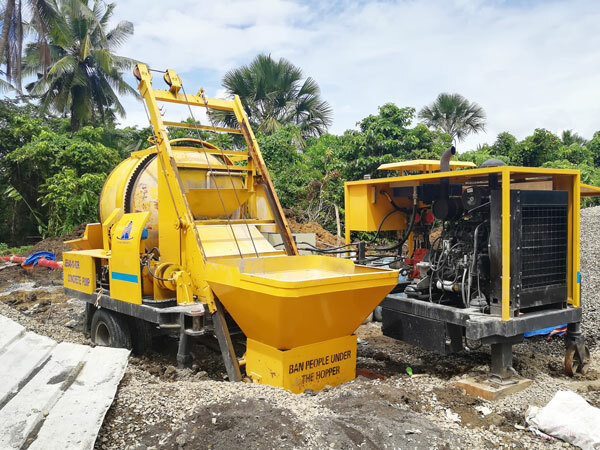 Our concrete mixer with pump for sale is widely used for road construction, bridge construction, expressway project, tunnel construction and so on. 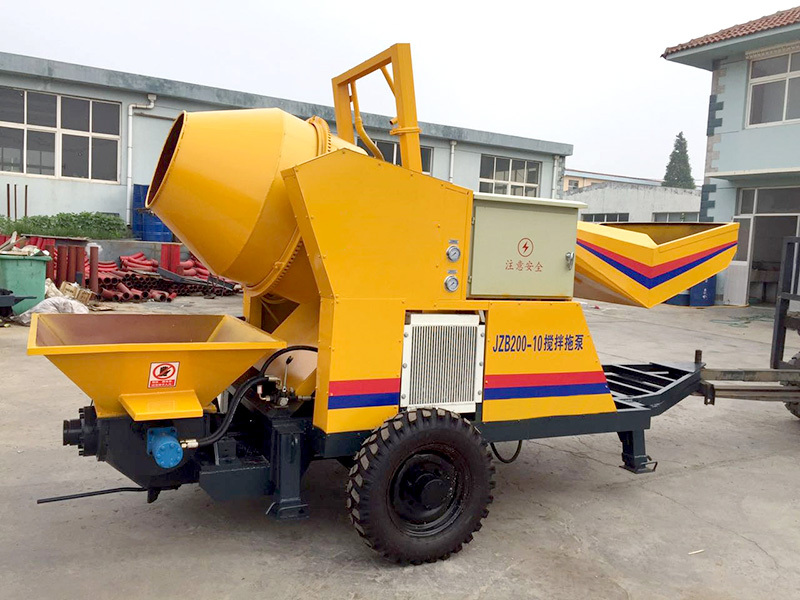 If you need a machine that can mix and convey the concrete at the same time, concrete mixer with pump for sale is an ideal choice for you. 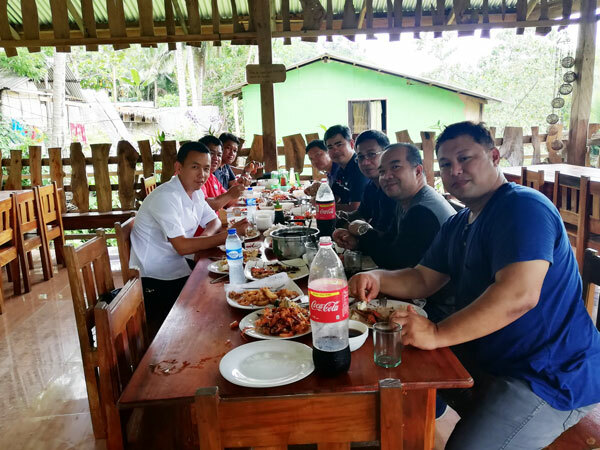 Philippines is our main market, and many of our customers come from there. Two years ago, this customer purchased JB40R diesel concrete mixer pump from our company. After he buying our concrete pump machine, our engineers help him install and debug this machine. Recently, our salesman visits this customer again to learn how about our JB40R diesel concrete mixers with pump and how about our service. 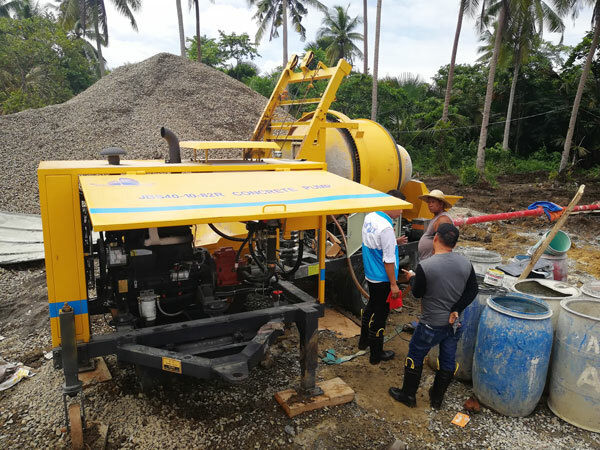 After arriving there, our salesman firstly check whether our concrete pump can work normally and whether there is something wrong with our machine. 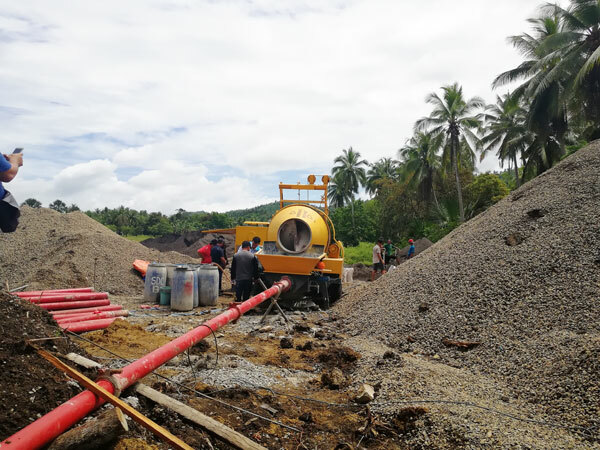 In addition, we also invites some customers in Philippines who plan to invest a concrete mixer with pump for sale to watch how the machine works. Learning our machine, these customers give high praise to our concrete mix and pump and our Aimix service. 1. Driven by diesel engine, which greatly reduce the electricity consumption. 2. Combine the function of mixing and pumping, saving the occupation area and reduce the machine weight. 3. High working efficiency can shorten the construction period. 4. Simple operation can reduce the labor intensity and save labor cost. 5. Adopt the two-cylinder full hydraulic pumping system, which can transport large aggregate or gravel concrete. This makes the machine with the features of stable and excellent performance. Our JBS40 diesel concrete mixer with pump for sale was smoothly installed in Pakistan. After test run, this machine has come into operation. The diesel concrete mix pumping machine is also our hot sale product. 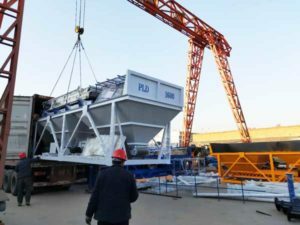 Because we have many different models of diesel concrete mixer with pump for your selection, our customer have no idea about choosing a suitable model. After learning the confusion of our customer, our salesman introduces every model of our electric concrete mixer machine with pump in detail. Finally, our customer selects the JBS40 model. 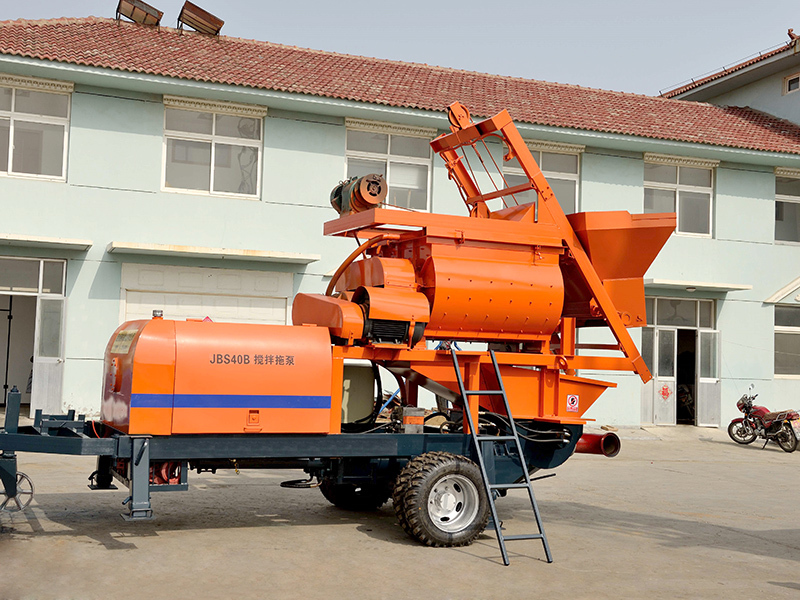 The theoretical conveying capacity of JBS40 diesel concrete mixer with pump is 40m3 per hour. A right model of product can not only meet the demand of pumping concrete, but also save your original investment capital. 1. Driven by electric engine, which can greatly save the diesel engine consumption cost. 2. There are many different power that you can choose. Smaller power is also can suitable for the carrying capacity of rural power grid. 3. Small occupation and light weight is more suitable for transportation, even if in narrow areas. 4. Adopt international famous components brands, which makes the machine have long service life and reduce the failure rate. 5. It has the function of reverse pump to minimize the pipe blockage. 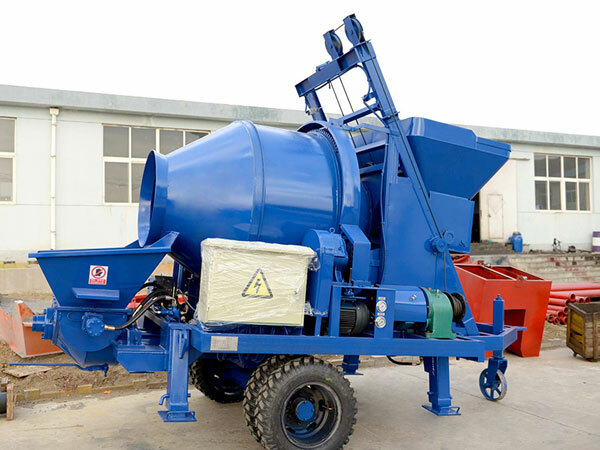 As the market of construction industry is booming, there are more and more concrete mixer with pump manufacturers in the market. The quality of concrete mixer with pump for sale produced by different concrete mixing pump manufacturers is different. 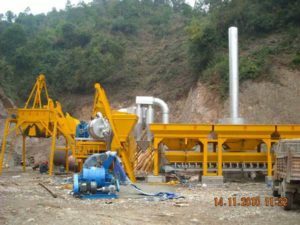 How to judge whether a concrete mixer with pump manufacturer is credible? Here are some tips you can refer to. 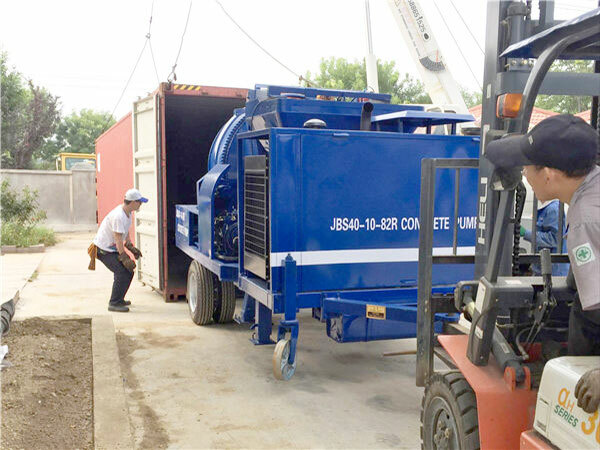 Using the different concrete mixer and pump for sale, customers will give various evaluations to different manufacturers. If you want to purchase a machine, you can learn the feedback of the client who has used this machine. Since our Aimix Group was founded, our products has been delivered to many countries, including Philippines, Pakistan, Sri Lanka, the South Africa, Uzbekistan, Fiji, Algeria, Australia, Indonesia, Malaysia and so on. We have won a good reputation from our customers from all over the world. 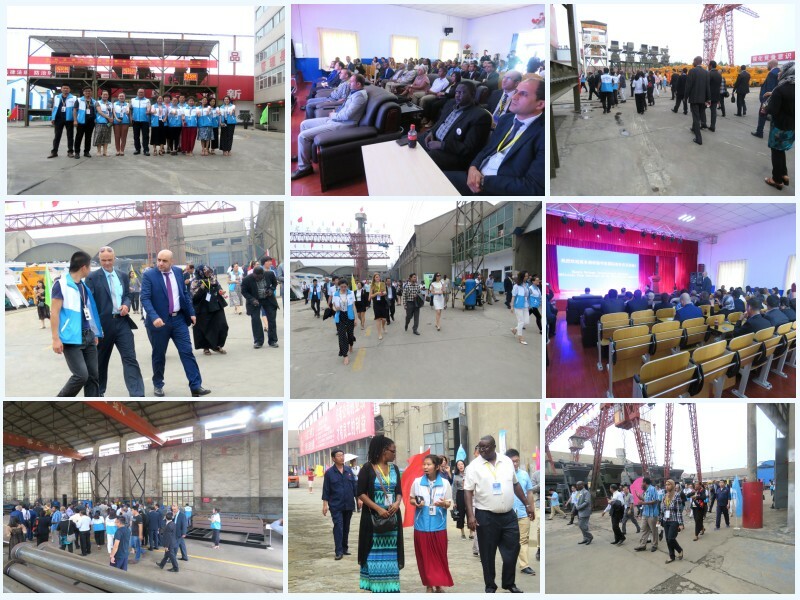 Visiting the factory and office is the most direct way to learn a company. You can learn how the workers produce the equipment, how the concrete mixer pump for sale works, how the concrete mixer with pump for sale is transported, etc by visiting their workshop. You can also learn the how their salesman and after-sale service staff work by visiting their office. Welcome to our Aimix Group Co., Ltd. Concrete mixer with pump price is a factor that cannot be ignored. 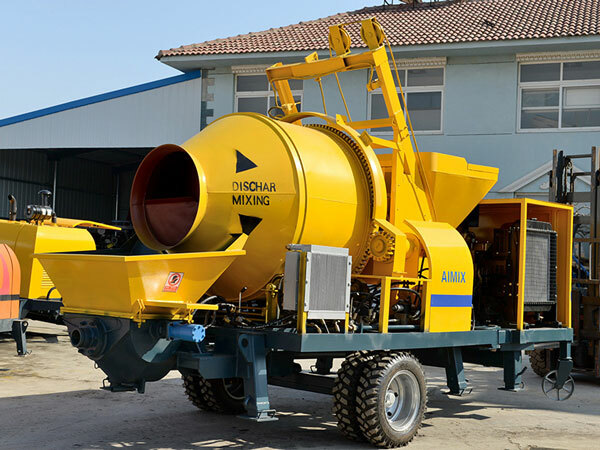 As we all know, there are many factors affecting the concrete mixer with pump price, such as, brands, models, types, components, the way of payment, etc. A good concrete mixer with pump manufacturer can offer you reasonable price. Don’t consider the lowest price, because the quality of machine that has the lowest price maybe is bad. Choose our company, and we can guarantee that we can provide you with high quality machine and reasonable concrete mixer with pump machine price. 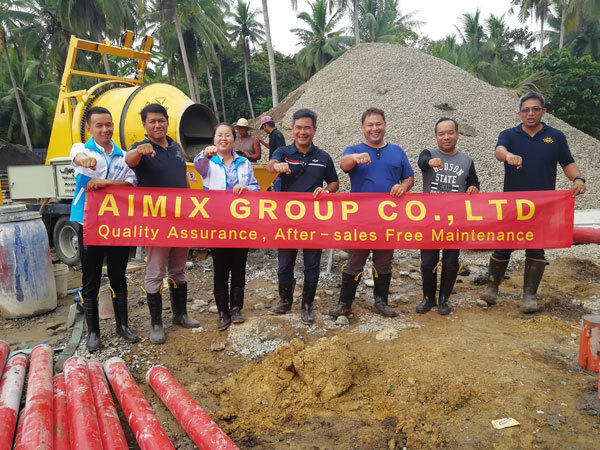 Our Aimix Group is a professional and famous mixer pump concrete manufacturer in China. 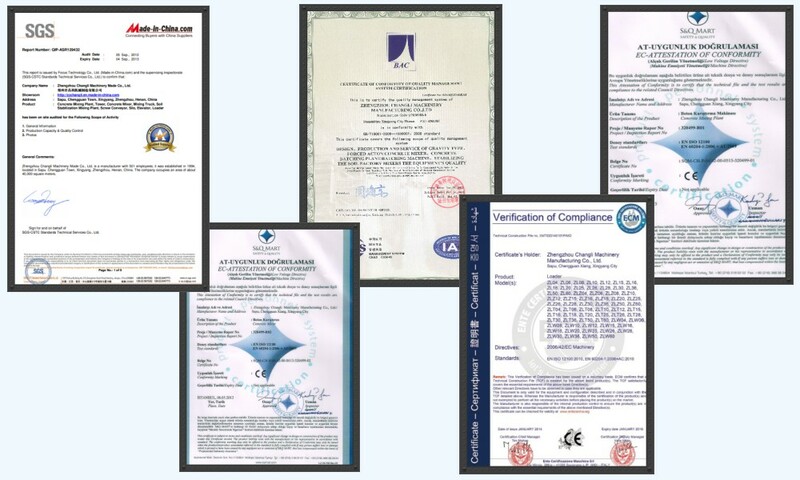 On the one hand, our products have got the certificates of CE, and ISO9001, and through the test of BV and SGS. We believe that these certificates are an affirmation of our strength. On the other hand, keeping the technological innovation, our machine has gotten many patents, such as, the seal technology. Good seal technology makes the quality of concrete that mixed by our machine higher. 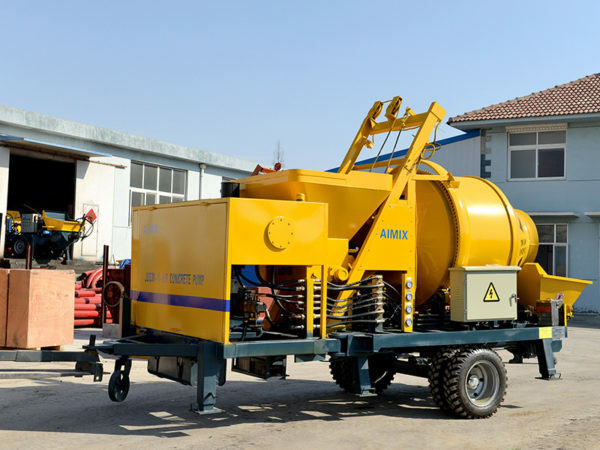 To sum up, if you plan to invest a concrete mixer pumps for sale, and if you want to find a trustworthy concrete mixer with pump manufacturer, please don’t hesitate to choose our company. After receiving your message, we will reply you as soon as possible.